Winter driving definitely makes one start to realize the importance of a capable and dynamic vehicle! INFINITI provides a variety of vehicles that meet the needs of drivers who want capability and luxury. 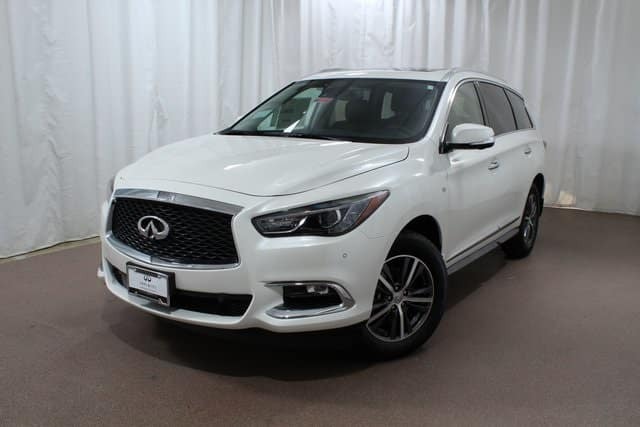 The innovative 2019 INFINITI QX60 is an excellent option for drivers who want comfort and class together in one stylish package. This crossover SUV is available in four exciting trim levels so you can choose the one perfect for you. The INFINITI QX60 PURE has an efficient 3.5-liter V6 engine that produces 295 hp and provides an estimated 20 mpg city and 27 mpg highway. The continuously variable transmission has a manual shift mode for more driving fun. This trim level also has SiriusXM® Travel Link with a four-year complimentary trial access so you can access weather, fuel prices, stock info, sports, and movie times all from your vehicle. There is an INFINITI InTouch™ system with HD Radio for enjoyable listening of your favorite music. In fact, you can use the included Bluetooth® for audio streaming and hands-free phone usage. Keep your electronic devices charged and ready with the 8 USB ports; six of them for charging and two of them for iPod and compatible devices). The INFINITI QX60 LUXE trim level has the same efficient and powerful engine and base features as the PURE. It adds on a 13-speaker Bose® Premium Audio system with speed-sensitive volume control. The dual occupant memory system for the driver’s seat, steering wheel, and outside mirrors allows you to pre-set for two different drivers to operate the vehicle comfortably. Even starting the LUXE is super easy with the Remote Engine Start System! Add Intelligent All-Wheel Drive (AWD) on to the PURE and LUXE trim levels for amazing capability in all weather. This means slightly lower estimated highway fuel economy of 26 mpg. Otherwise the QX60 LUXE AWD and Qx60 PURE AWD has all the super features included on their non-AWD counterparts. 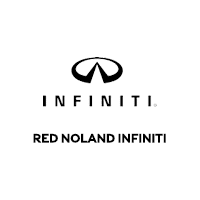 Our 2019 INFINITI QX60 inventory is beginning to arrive at Red Noland INFINITI in Colorado Springs. We currently have several LUXE AWD trim level crossovers for you to choose from, with other trim levels on the way! Once you experience this luxurious and capable INFINITI QX60 LUXE AWD you will want to drive it home with you!